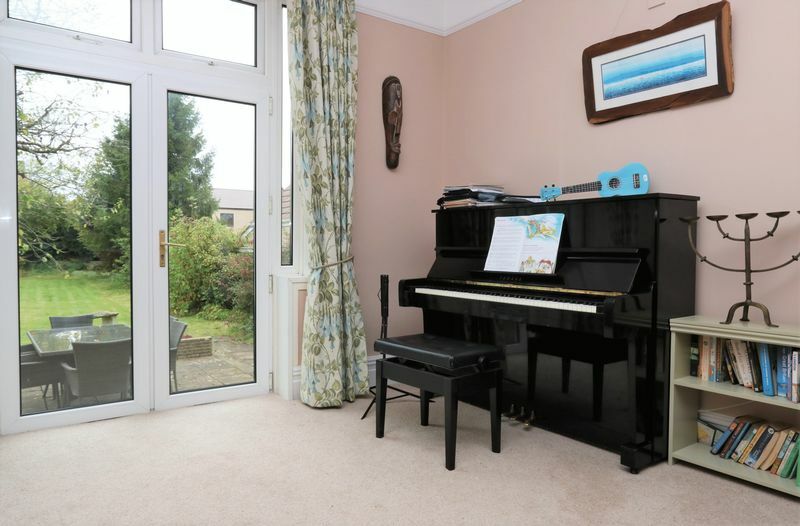 A very spacious five bedroom detached family home in Combe Down village. Well proportioned rooms, period features throughout and a large garden with dual entrance sweeping driveway. 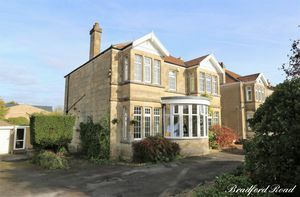 Approved planning permission granted to extend the ground floor accommodation. You approach this property through decorative wrought iron gates to both entrances of the driveway. 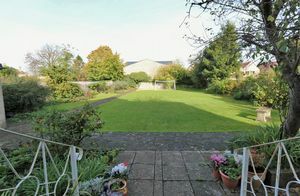 The driveway sweeps around from one entrance to the other in front of the house and provides parking for numerous vehicles. 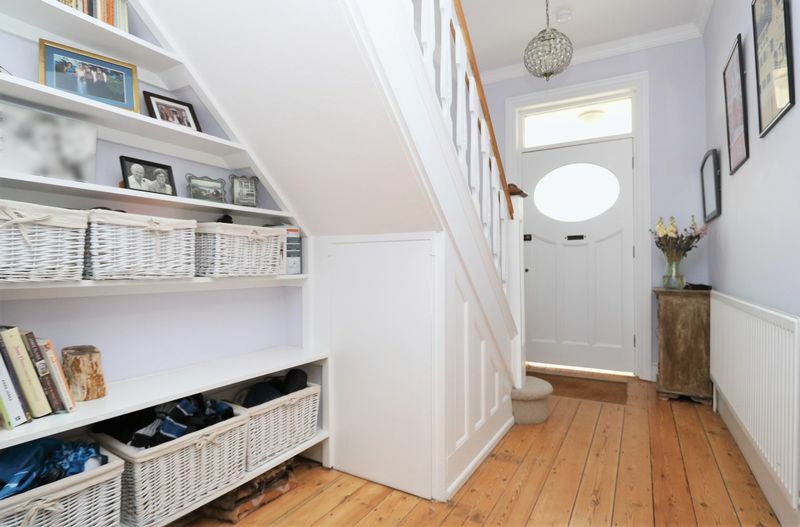 You enter the property into a large bay windowed entrance porch which is ideal for coat and shoe storage. 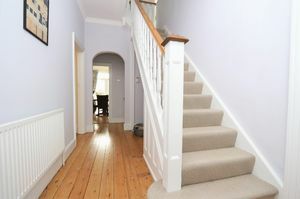 Once inside the hallway, with its stripped wood floor, provides access to the sitting room, reception room, kitchen and stairs to the first floor. The grand large sitting room is 30’ in length and provides feature fireplace and dual aspect with bay window to the front aspect and glazed doors to the rear garden. 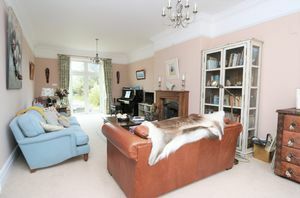 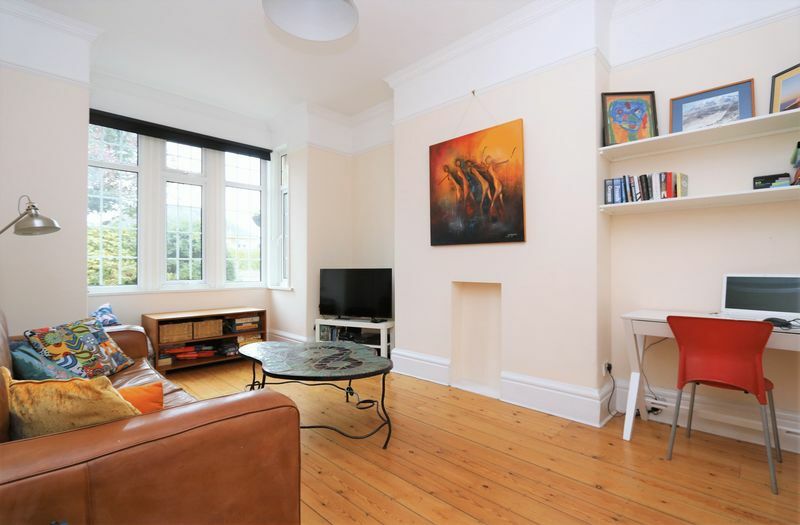 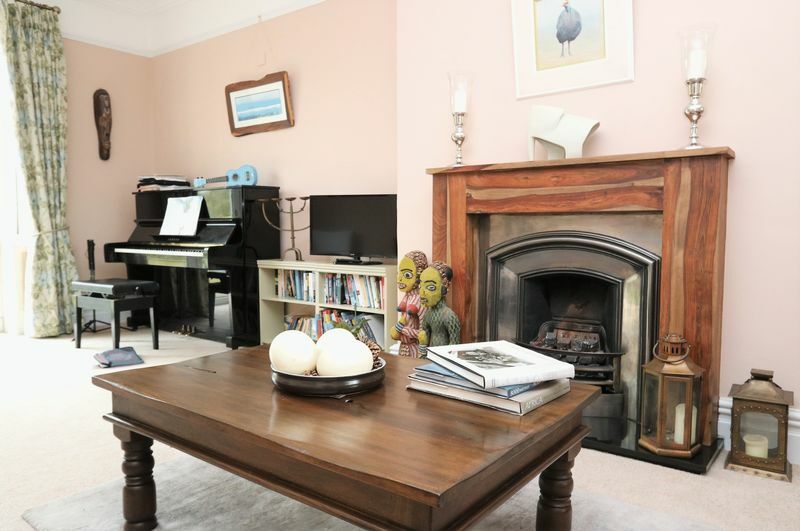 The reception room is a good size with bay window to the front aspect it makes an ideal TV/games room. 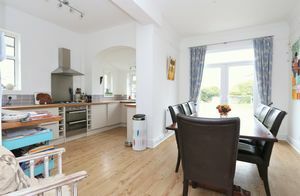 The spacious kitchen diner is a light room with glazed doors leading to steps to the rear garden. This area currently has approved planning permission to extend to the side aspect and create a much larger family kitchen dining living space. 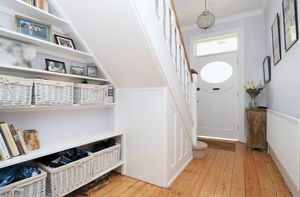 Back to the hallway you find a downstairs WC and useful storage space beneath the stairs. 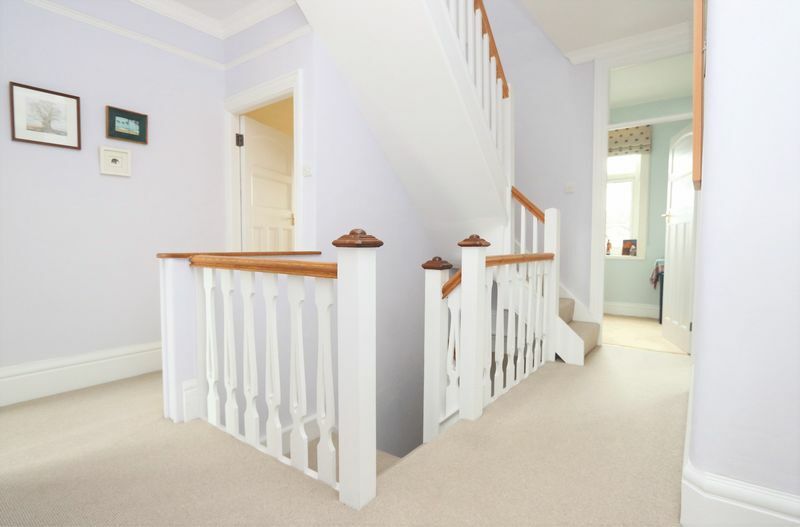 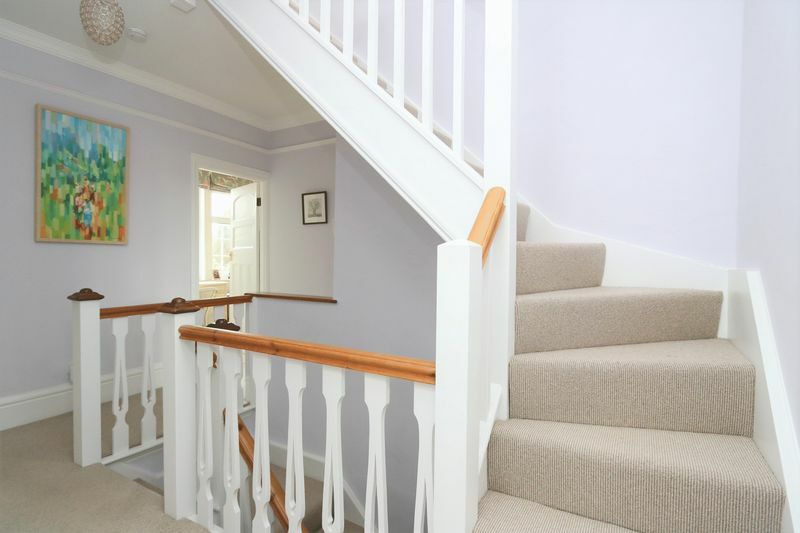 Stairs lead from here to the first floor with its expansive landing leading to four double bedrooms, family bathroom and a further study room. 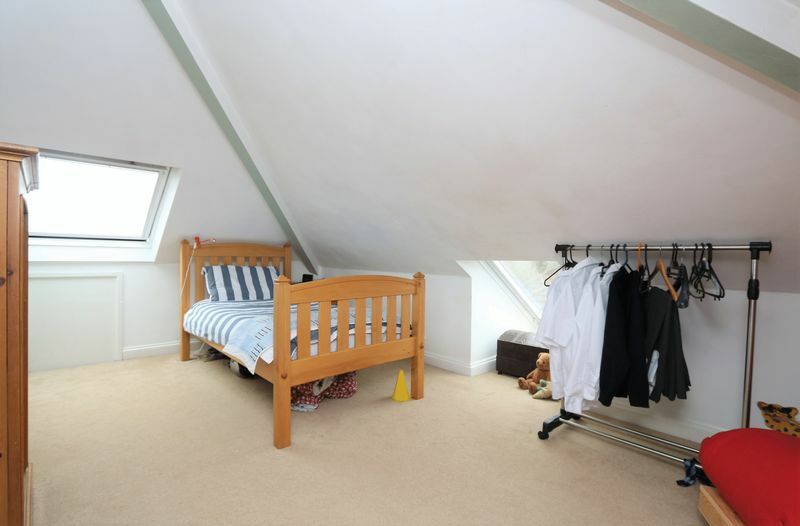 Another flight of stairs leads to bedroom five in the converted loft which also provides a bathroom. 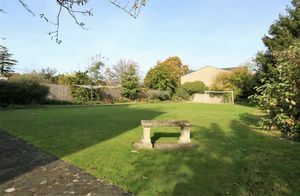 Externally the rear garden extends to approx. 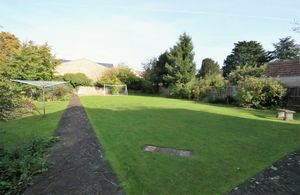 200’ and is a nice wide plot too. Stone steps with decorative wrought iron balustrade lead from the kitchen into the garden and to a patio seating area. 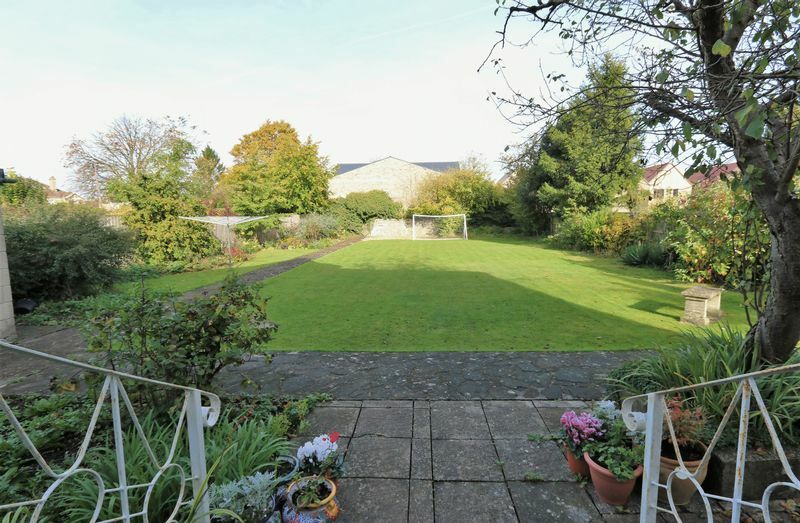 The garden is laid to lawn with concrete path leading to the rear and is well stocked with beds, shrubs and trees. 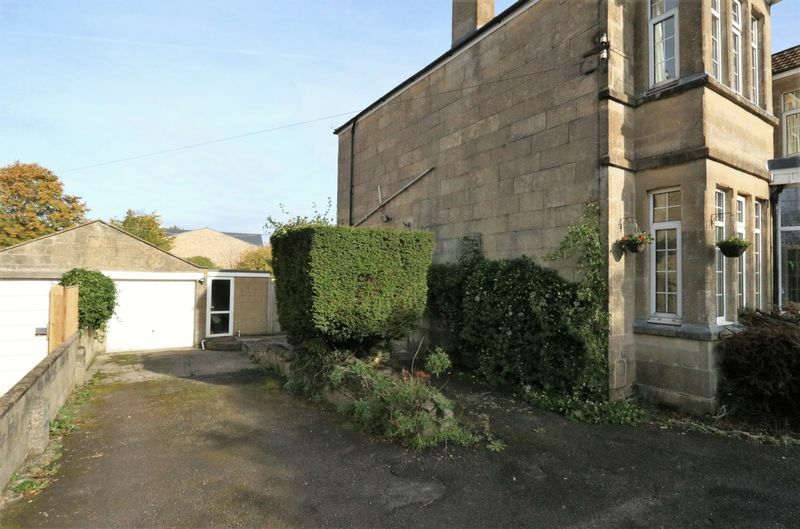 It also houses a stone built garage with small workshop to the side aspect. 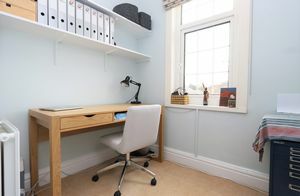 This is also included in the approved planning permission to be incorporated into the potential kitchen extension and would then be used as further study or snug leading off from the kitchen. 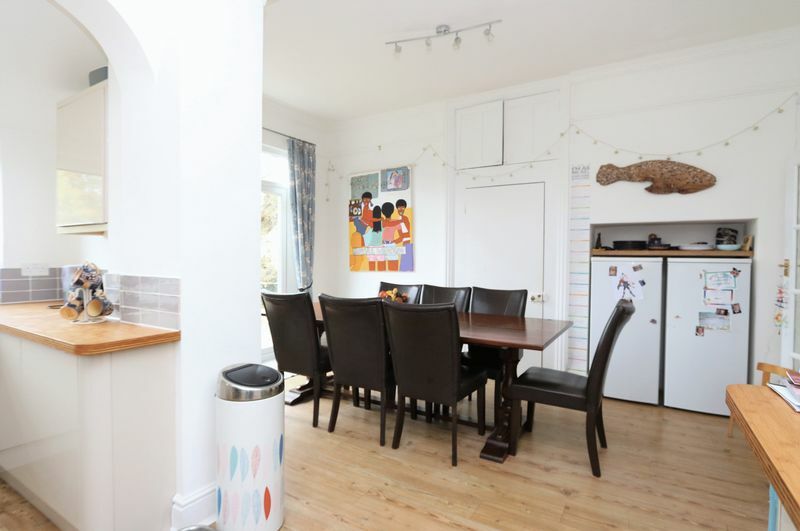 There is further parking for two cars to the front of the garage. 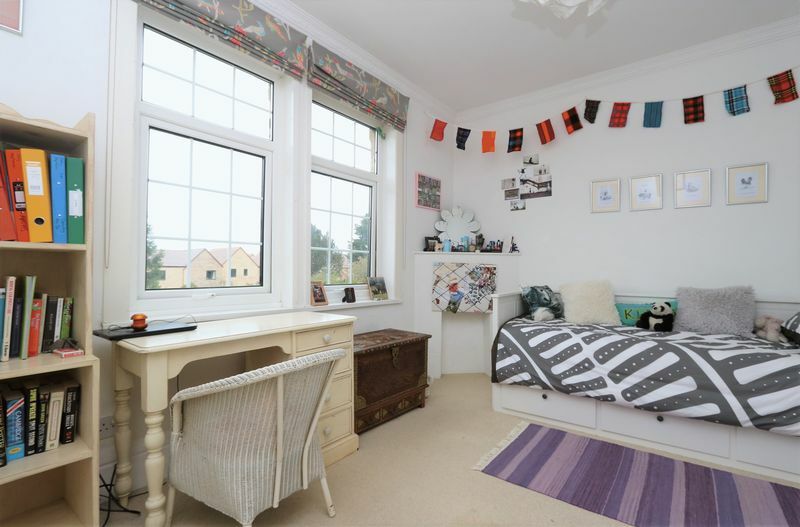 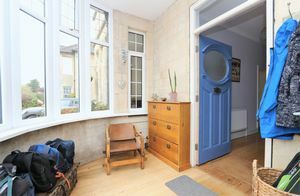 Oval shaped with newly fitted double glazed windows, ample storage space, wooden floor boards throughout, coir mat, original Bath stone wall, large wooden front door providing access to the entrance hallway. Stripped wooden floorboards throughout, radiator, original coving, high ceilings, wall mounted thermostat, under stairs storage cupboard, further storage cupboard with hanging rail, mains fire alarm, doors leading to a lounge, sitting room, kitchen/ diner, cloakroom with stairs to the first floor accommodation. large double glazed bay window to the front aspect, radiator, television point, stripped wooden floorboards, deep skirting boards, original coving, picture rail. Very spacious room with neutral carpet throughout, two radiators, large double glazed bay window to the front aspect, full length double glazed patio doors to the rear aspect with steps leading into the rear garden, deep skirting boards, gas coal effect fireplace with wooden mantel and granite hearth, original coving, picture rail, television point. 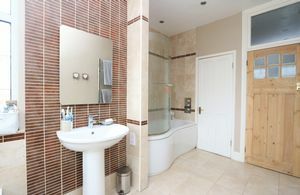 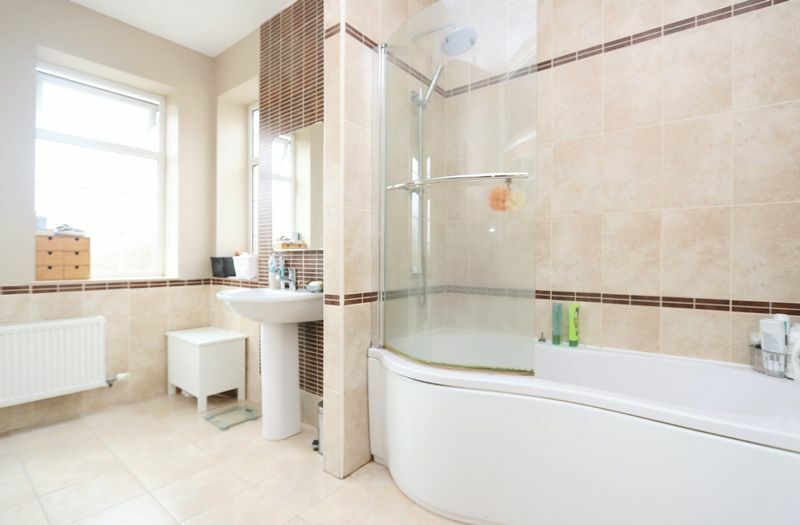 White suite which includes low level w.c, wash hand basin with mosaic tiled splash back, combi boiler, double glazed opaque window to the side aspect, chrome ladder radiator. 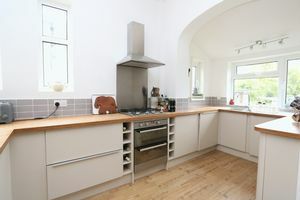 Fully fitted kitchen with a range of wall and base kitchen units all with soft close function, integrated gas double oven, four ring gas hob with extractor hood over, integrated Hotpoint washing machine, integrated dish washer, tiled splash back, open plan to the dining room. Full length double glazed patio doors opening into the rear garden, radiator original coving, picture rail, space for fridge, space for freezer, large storage pantry, space for a large dining table and chairs. 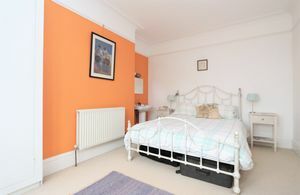 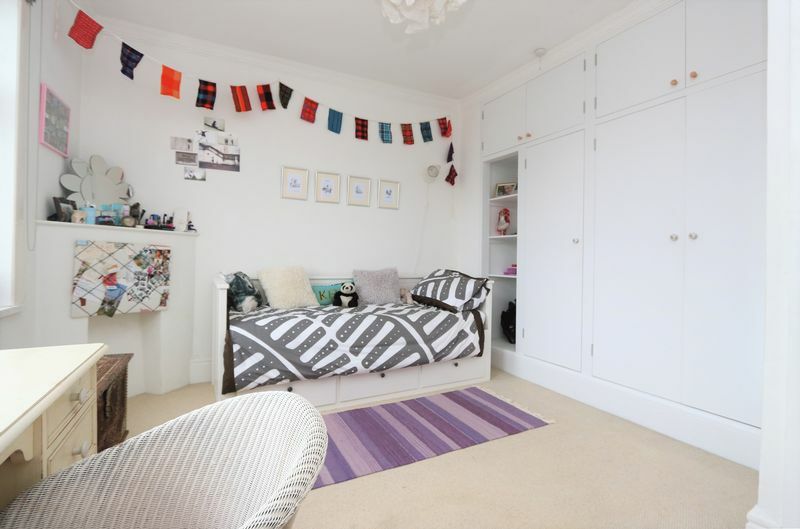 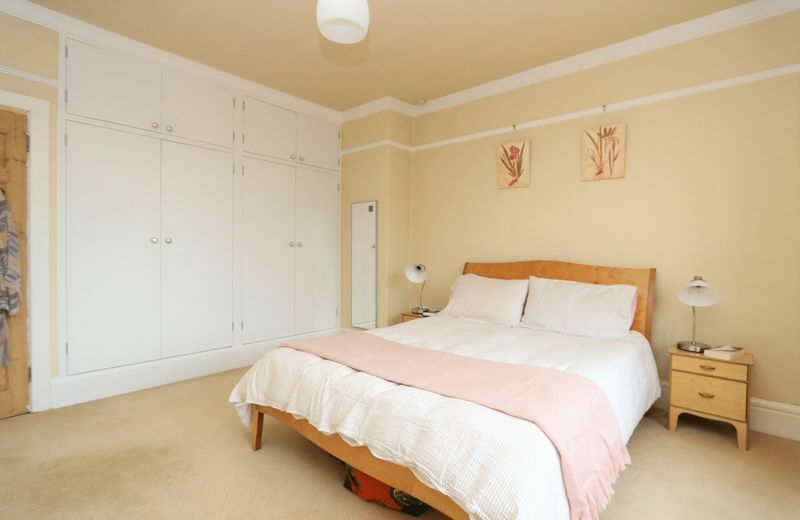 Carpet throughout, picture rail, original coving, double glazed bay window, two fitted wooden wardrobes both with hanging rails, radiator, deep skirting board. 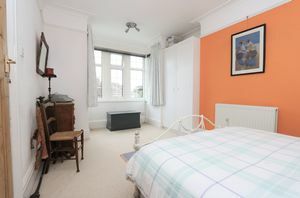 Double glazed bay window, carpet throughout, radiator, wash hand basin, original coving, picture rail, deep skirting boards, television point. carpet throughout, double glazed window to the rear, deep skirting boards, original coving, radiator, dimmer switch control. 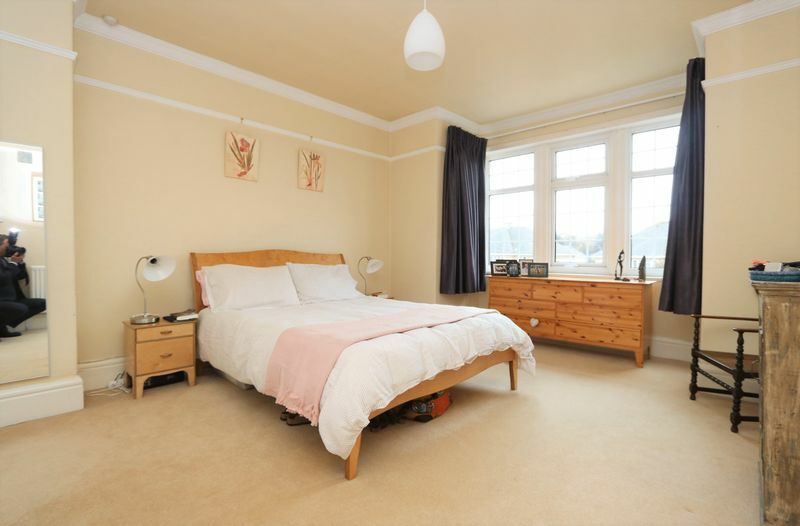 Two double glazed windows to the rear aspect, carpet throughout, triple built in wooden wardrobes, original coving, dimmer switch control. 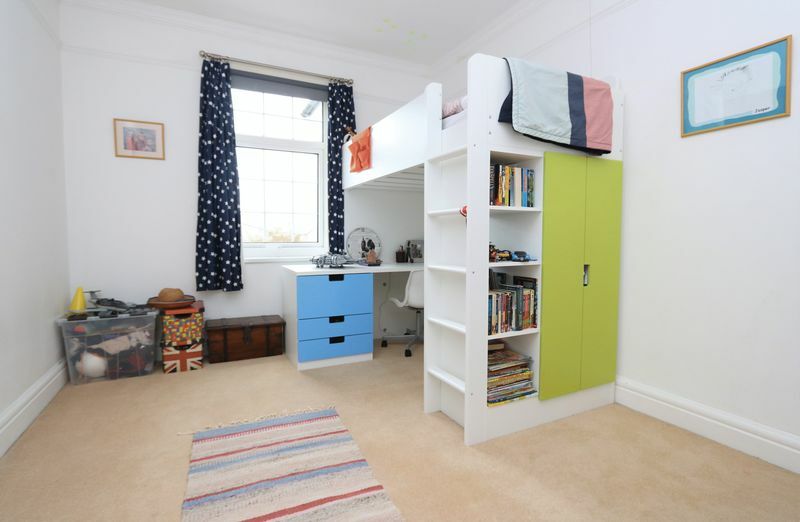 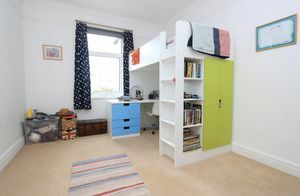 Carpet throughout, radiator, double glazed window, wall mounted storage shelves, telephone point. 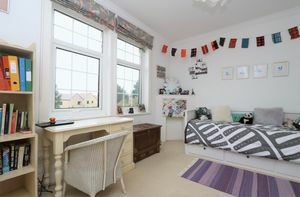 Carpet throughout, three double glazed skylights, wall light, radiator. Fitted with a bath, eves storage, double glazed sky light, low level w.c, wash hand basin, chrome ladder radiator. 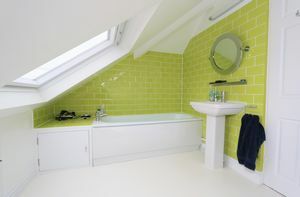 water tank. 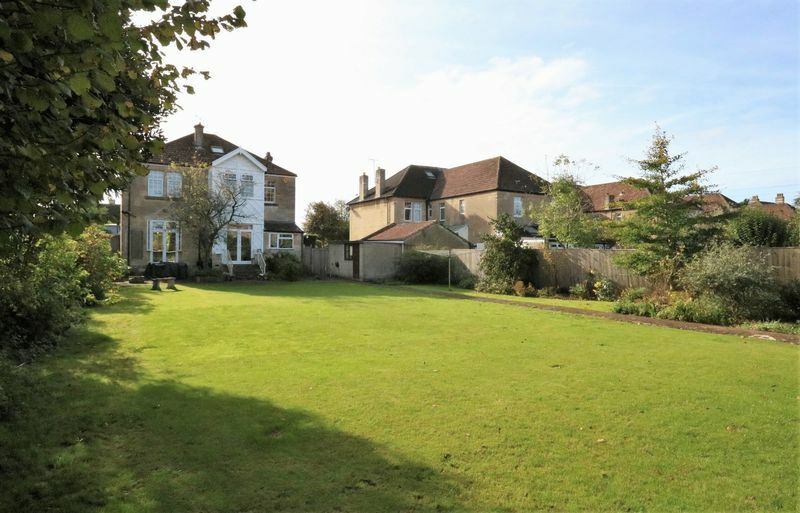 Mature spacious garden with a range of mature border shrubs, paved seating patio area. 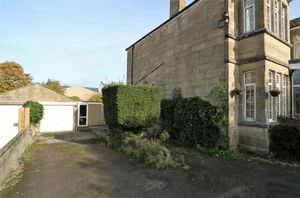 side access to the front garden and garage. 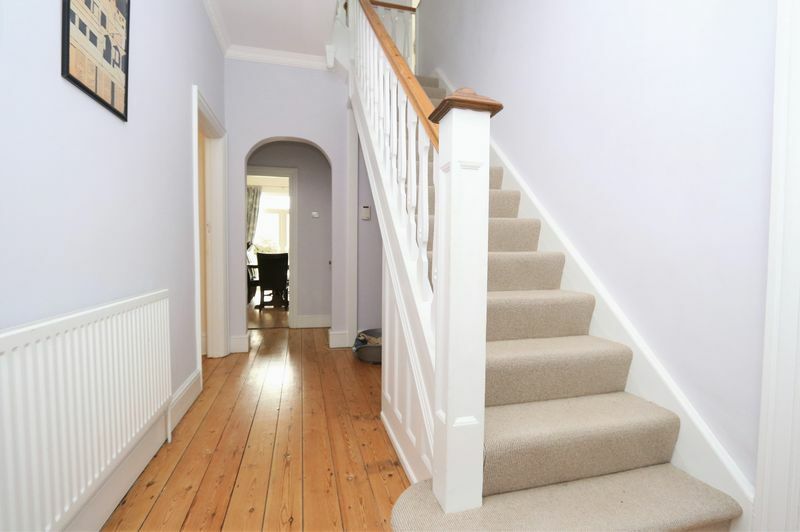 Dual entrance/exit driveway laid to tarmac with parking for multiple vehicles and wrought iron gated. Established beds with shrubs and small tree. Parking to the side aspect with access to the garage. 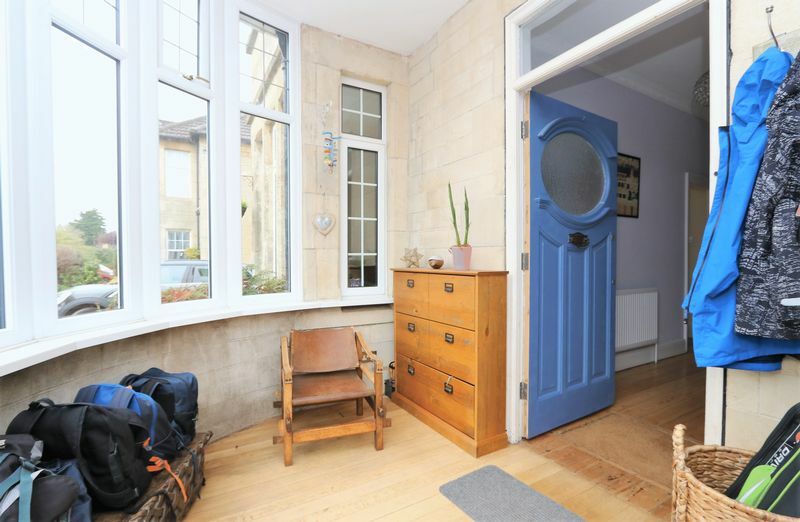 Stone built with aluminium up and over door , power and light.